Source: Urbanus. 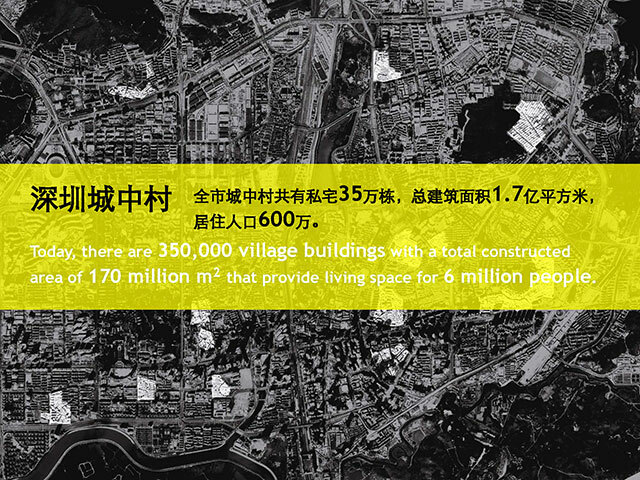 According to some researchers the number of people living in urban villages in Shenzhen is much higher that 6 million. What seems certain is that over half of the people this city of 10,5 million people live in urban villages. 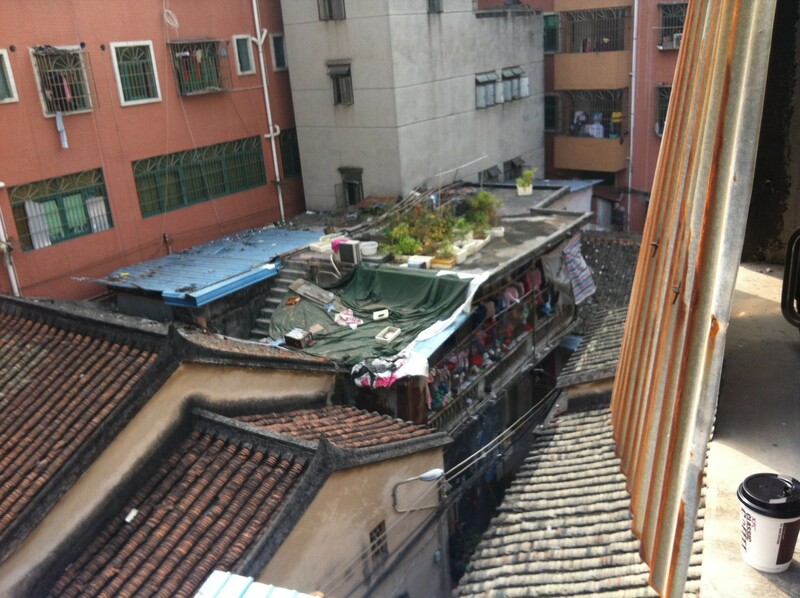 View from Ching’s house in ShiYan village. The photo clearly shows how the older, traditional looking houses have been extended and crowded by new buildings, which are now rising to multiple levels. 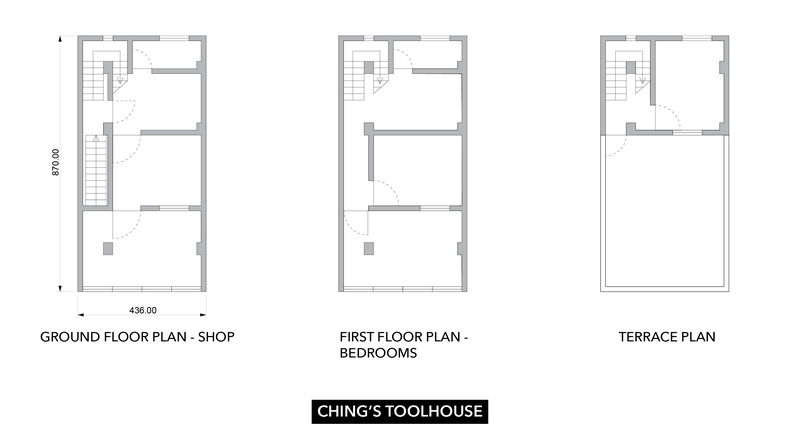 Ching's house: This tool-house built about 30 years ago combines residential and income-generating functions. The shop is a little over 30 m2. Above are two and a half floors with a terrace for residential purposes that cover a little less than 80 m2. The Chinese city of Shenzhen insolently faces Hong Kong and its western heritage. Apart from being the embodiment of the Chinese economic success story, it has one particular feature that distinguishes its urban development: its speed. Starting from the market-opening reforms launched in 1979 that transformed Shenzhen area into the first Special Economic Zone (SEZ) in China, the city grew from being a mere fishing village to China’s tenth most populated city within 30 years, according to the official population census. That phenomenon inevitably brought about a uniquely rapid urban expansion. The city planners attempted, through three master plans in the space of 25 years, to organize and control the urban sprawl by establishing 6 cluster cities linked by highways and other communication infrastructure (1986 Master Plan). Yet with a yearly average population growth of about 30% over the previous 30 years, even the most organized top-down urban development policies could not have controlled the massive expansion. By swallowing up the rural lands of its surroundings, the “instant metropolis” as it is nicknamed, caught up with the region quickly. Due to the speed of its development, villages were surrounded by the city without much attention being drawn to their situation, as urban planners preferred to avoid these complicated cases of pre-industrial settlements, which they saw as unfit to integrate into the official vision of the modern city. These villages therefore were swallowed up in the city’s tentacular sprawl, lost their rural lands, and were surrounded by high-rises. Transformation of their economic activities ensued, embodying their mutation from rural into urban villages, 城中村 literally “village-within-city”. As most urban villages around the world, they became neighborhoods offering cheap housing, hosting migrant workers coming from all over the country looking for a taste of Shenzhen’s economic miracle. When passing through the city for a workshop, the urbz team went through some of the 241 urban villages that dot the map. They also encountered Ching (叶青 Ye Qing), an inhabitant of one of these urban villages, ShiYan (石岩) (See write-up posted on Jan 1st, 2014). 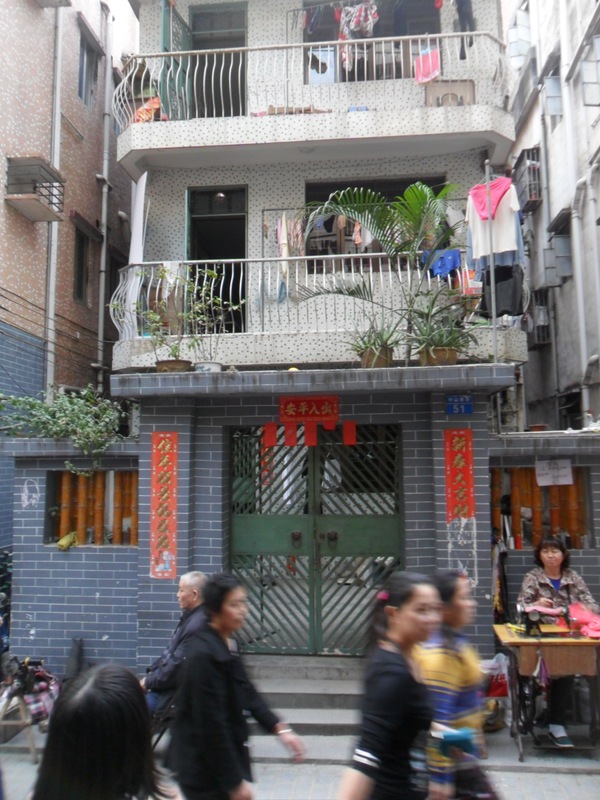 Living on Old Street (老街)in her family house, she remembered all the economic activities that her family relied on to make a living. These ranged from running a shop on the ground floor, where they would sell clothes, then shoes, then tea and barrelled water. 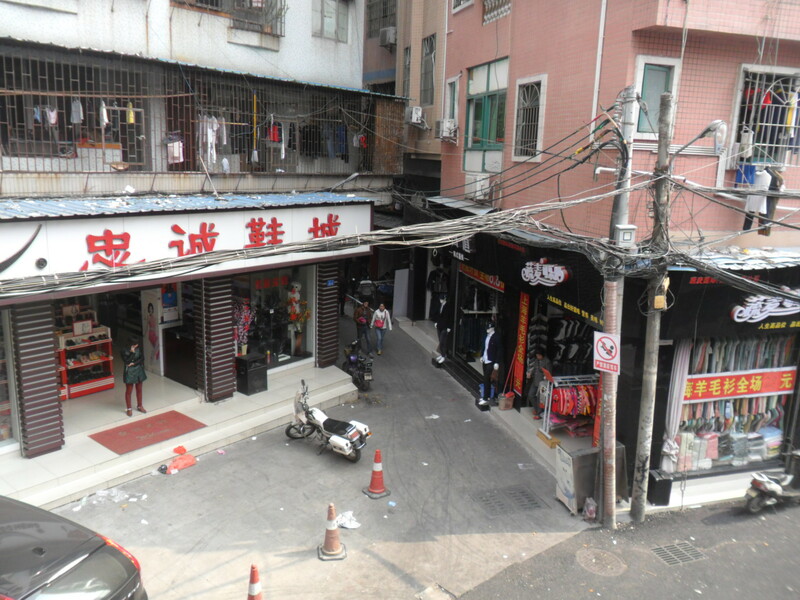 She recalls how her family, and others in the neighborhood, assembled some factory parts such as artificial flowers or USB parts, on the first floor, to earn extra income. 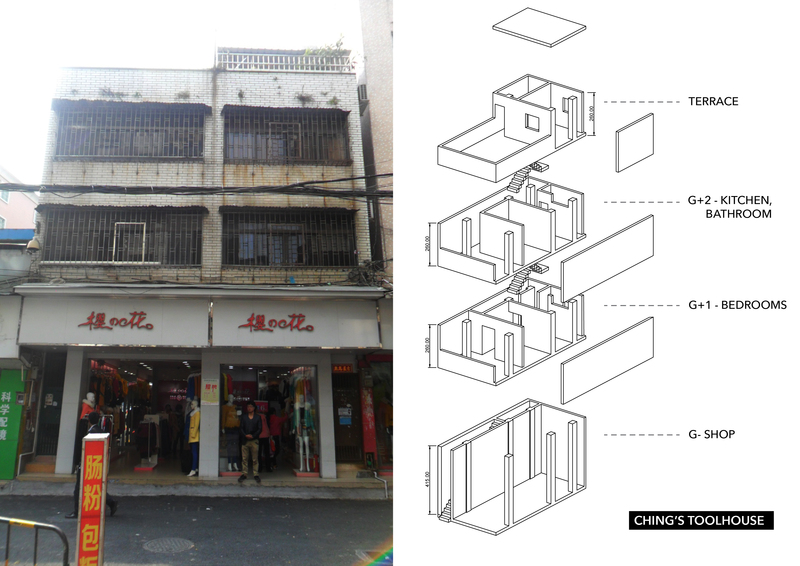 Ching’s story is emblematic of the reconversion of these urban village’s habitats into commercial and manufacturing activities more adapted to their newly urban environment. urbz calls housing types that mix residential, commercial and manufacturing capacities as “tool-houses”. These are usually incrementally developed by their owners to fit their personal needs. These tool-houses are seen in most organic neighborhoods around Asia, from Tokyo’s low-rise commercial districts to India’s so-called “slums”, or even to some extent in Southeast Asia’s shophouses, and they clash with the contemporary vision of cities, based on the separation of residential and industrial activities. 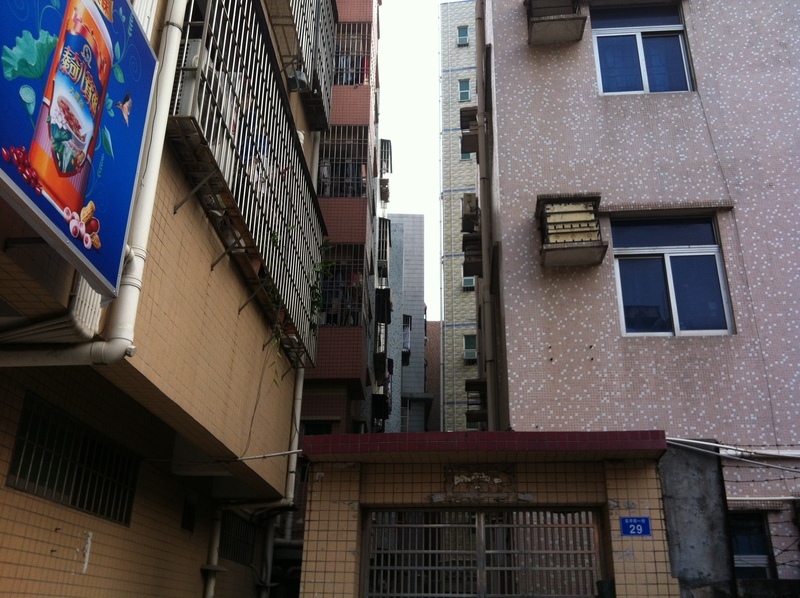 In Shenzhen’s central urban villages, most houses were expanded thanks to the new income that they could earn from commercial and manufacturing activities or from renting some rooms to migrants, which led to a densification of the urban village. While they do not reach the height of the modern high-rises, they still partake in the densification of the neighborhood, lower but more numerous, in some sort of incremental development that contributes to Shenzhen’s growth by offering housing for migrants, who are vital elements of the city’s economy, and by producing simple goods, and then too by conserving a different scale and street grid that might be valuable on the long term. Indeed, when one looks at metropolises such as Tokyo, it is clear that the human scale and diversity offered by organically developed urban villages such as Shimokitazawa are valuable to the municipality as a vibrant commercial and creative neighborhood in a diversified economy. Even without such long-term vision in mind, Ching story’s also shows that by keeping and expanding one’s family house, inhabitants keep some kind of connection with their family and ancestors and some attachment to the neighborhood. In Ching’s tool-house, there is a shrine dedicated to a precious member of her ancestry, known throughout the neighborhood as a generous figure and the former owner (and builder) of the house. Every year, Ching’s grandmother receives visits and gifts as thanks for her ancestor’s generosity. Such a story is an example of the human practices that developed in tandem with the area over time. In the context of growing critiques from the empowered middle class about the speed of the country’s development and the lack of respect for traditions or individuals, respecting and upgrading incrementally developed neighborhoods with unique human networks might be a way to show some consideration for a diversified type of urban development. While this last dimension might seem out of reach for local urban planners, inhabitants of some urban villages have actually come together to protect this valued village spirit against redevelopment schemes that involve destruction of the organic structure of neighborhoods. In Guangzhou, Shenzhen’s sister city in Guangdong province, the planned destruction of Xian village (先村）in 2012 faced protests form locals who rallied under the slogan “Great greed cannot be dealt with in one day, nor will the heart of Xian villagers die in one day”. Similarly in Shenzhen, the Master plan of 2005 laid out the integration of urban villages (including Ching’s) in the cityscape by undergoing large rehabilitation processes that might endanger the alternative tool-house model and organic neighborhood structure. Through Ching’s house’s story, one can reconstitute the integration of rural villages in the Shenzhen metropolis, their evolution into urban villages and the adaption of the living unit into the tool-house model of mixed used habitats. They also show how the diversity of urban scale that such areas offer to large new sprawling metropolises like Shenzhen, or anywhere else in China is a valuable urban resource. This post by Julien Vincelot is based on research done by urbz in Shenzhen during MoMA’s Uneven Growth workshop. Julien Vincelot is a student in social and political science in Paris. He is particularly interested in the Asian context, having grown up in New Delhi and Shanghai. He plans on specializing on urban planning and urban policies in developing countries, with a focus on alternative urban forms and their political and social implications. He is currently working with urbz in Mumbai.